The Mermaid's Tale: Conquering the crab? 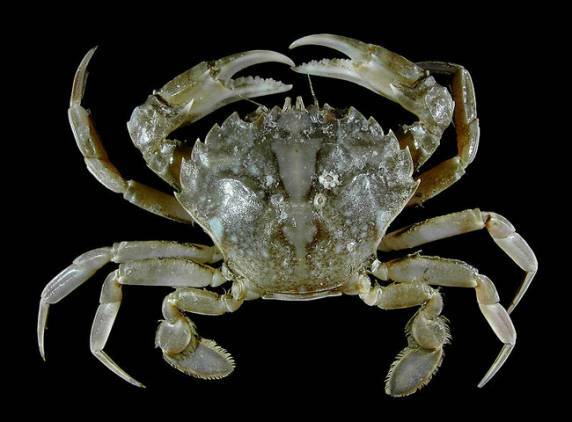 The disease 'cancer' derives its name apparently from 'crab,' due originally to Hippocrates though for debated reasons, but perhaps because tumors felt like bites from crab claws. Cancer is one of the most terrifying diseases because it can be a death sentence whose imposition can be a long-lasting torture, worse even than what Texas does to its condemned criminals. So, advances in understanding and treating cancer can be life saving, but it's hard to know what to make of Gina Kolata's 3-part series in the New York Times this week on whole genome sequencing of tumors. The stories are a bit melodramatic but perhaps that's understandable and the way stories about people facing life threatening illnesses have to be written. Kolata is usually quite responsible, unlike many of her peers, so we really shouldn't quibble. But it does make it a bit difficult to sort the science from the drama. Still, we'll try. The first of the series is about a leukemia researcher who himself suffers from leukemia. When he was so ill that there were no known treatments left to try, his colleagues decided that sequencing both his cancer cells, his healthy cells and RNA from his cancer cells that would indicate which genes were being expressed, might give them essential information about the genes driving this man's cancer. There were no drugs to attack the mutations, but probably as importantly, it's hard to imagine that it was clear which were significant to the development and growth of the cancer, which were incidental, or how to know -- and which they'd have chosen to attack even if they'd known how. But the RNA sequencing, which identified a gene that was being expressed at a much higher level than normally, did ultimately lead to a treatment that, so far, seems to be working. It's a drug that had previously only been used with kidney cancer, but the genetic fingerprint of this patient's leukemia suggested it could be effective in his case as well. The second in the series is about a woman with a rare form of leukemia and a son who's a geneticist. With time running out, the son sequences and compares his mother's healthy cells and her tumor cells and he and colleagues identify a drug that might stop the cancer. It does, for a few weeks, after which time the cancer returns with a vengeance, and the woman soon dies. The third story is about a young woman with melanoma of the eye. It turns out that there are basically two classes of this disease, the first of which has a very high survival rate regardless of the size of the tumor when it is discovered or treated, and the second of which has a very low survival rate -- the cancer metastasizes to the liver and beyond, and there's currently no known treatment that can halt its progression. The tumors have a genetic signature that tells the physician which class of cancer his or her patient has; it is of course up to the patient whether he or she wants to know this information, and thus the likely outcome. What's the take home message of this series? We have to say, it's not totally clear. These aren't uniformly stories of success due to the application of genetics to treating cancer, by any means. In fact, they suggest that a successful outcome based on sequencing is far in the future if then, although many drug companies, biotech companies and venture capitalists are already getting in on the act. So the stories shouldn't really serve to give current patients hope, even if there are many others who hope to profit eventually. Whole genome sequencing remains very expensive, and experimental treatments are unlikely to be covered by insurance, so currently only wealthy patients can opt to have it done. And even then, as Kolata points out, it's not likely at this point in our knowledge of cancer to be a lifesaver. Steve Jobs chose to have his cancer sequenced, as did Christopher Hitchens. To us, this series is a metaphor for much of the last two decades of genetic research -- much promise, with not nearly the payoff that has been promised. Yes, it's early days in the development of this approach, and if we'd bet on anything, we'd bet on technology and improvements in technology. That's not what's going to be limiting. Unfortunately, we think, it's tempting to use the technology prematurely, for many reasons not all of which are very well-considered, and the cost of whole genome sequencing will soon come down far enough that it won't just be something that can give hope to the rich, so it will surely be applied more and more. In many ways, though, this is not a particularly good idea in itself, but the lack of better ways to 'fingerprint' cancers to find cause or develop tailored treatment could call out for some DNA-based approach. For cancers that are due to genetic mutations (as opposed to abnormal activation of host's normal genes by whatever mechanism), the comparison of genes from tumors vs healthy cells surely will identify differences -- bioinformatic techniques for doing this kind of work are sophisticated reliable workhorses that will allow the researcher to zero in on these differences, but often, as this series shows, there will be so many that it will be difficult to impossible to know which are the ones that should be the focus of therapeutic attack. Of course, this is true of searches for genes for any trait, and not unique to cancer. And knowing how to treat any causes identified is another problem entirely. There are far more subtle problems. The initiation of a primary tumor may change some important gene. Usually it's not just one but the result of many that have built up during life. But at least all tumor cells will contain those changes. But tumors evolve. Different cells have different sets of mutations that have arisen subsequent to its malignancy (and even here, we're simplifying to suggest that malignant transformation was a sudden one-event process). Tumors that are dangerous spread (metastisize) and there is clear evidence that the seeded secondary tumors are often different, perhaps very different, from the primary tumor cells. This is certainly true after chemotherapy, when resistant cells survive the treatment and go on to become new tumors. So what cells do you sequence? Do you need to do whole genome sequencing of one cell at a time? From each tumor site? And if you sequence 'normal' tissue, you have to take into account that they vary as well, because mutations are always occurring during life. These few facts, without any elaboration (and there could be much elaboration!) suggest that when a tumor is dangerous because of some mutation occurring in the production of the primary tumor, all tumor cells will contain the causal mutation(s). Once targeted therapy technology has evolved to be effective, a single approach might destroy all the patient's tumor cells. Otherwise, one may have to biopsy and separately sequence all metastatic sites. Then, therapy might have to be targeted separately to each tumor subtype, based on what mutations have arisen and been responsible for the cells' ability to spread and settle down to infest some other part of the body. Cancer is misbehavior of cells for their normal tissue context. Cell behavior is in fundamental ways genetic, but the cells in your different organs behave differently because of gene usage. So things that lead cells to misinterpret their context can lead to out-of-control cells that have the same genome as their normal neighbors. Not all cancers need be due to mutations. We've posted before about non-genetic causes of cancer (e.g., here's the first of two posts on this, from January). And the July 6 issue of Cell has a review of the important research on the epigenetics of cancer (free to download here). This is about how cancer might be approached through gene regulation. Aberrant gene regulation may, but need not be due to DNA sequence mutations. So simple sequencing alone may not identify the problem. Methylation patterns may also need to be tested genomewide. But expression can fluctuate rapidly, so it is not obvious just how one would search for the key differences: what cells, what times in their lives would need to be studied? Cancer can be caused by transposable elements or viruses incorporating into the genome but this would occur in normal cells before they were transformed and there are other types of cancer that are induced by physical manipulation of cells. The temptation to feed the sequencers is irresistible these days, and that may be one legitimate approach to understanding person-specific tumors. But it is not likely to account for all tumors, and it is probably unknown at present what fraction of cancers are tractably genetic. Other ways to monitor normal vs abnormal cell behavior will be needed. Like the nipping crab-bite, an image for cancer, the attack on the problem is going to require holding on, crab-like, to those leads that are likely to work, but continuing to seek others. And we know a lot about causation, and that means prevention. For many types of cancer, investment in prevention would be far more cost-effective than genetic research. So we have to be circumspect about what in some ways is yet another case of hyperbole far outdistancing reality, and of approaches far more dependent on blind application of costly technology than more carefully considered science or public health measures. It is by no means obvious how more than a very small subset of culprit genome changes will be identifiable in the reported strategy. Cancer is a form of evolution of cell lineages within the body. Cells are selected in the sense that they succeed in growing or spreading by outcompeting the host's defenses, or by becoming able to pass as other types of cells so they can colonize other body sites. Evolution is a process of complex selection of phenotypes regardless of genotypes, and as is manifestly clear most traits can arise for countless different reasons: that is the lesson of GWAS that we harp on so relentlessly here, and why mapping and evolution are so difficult to understand with single-gene concepts (and that, essentially, is what the cancer approach is necessarily trying). Of course, to the extent that there are interpretable generic answers, and many tumors have genetic fingerprints that point to specific treatments, wonderful. This seems to be turning out to be true in at least some instances. But, hope needs to be tempered for reasons we've tried to describe, because it's more likely that cancer will be like other traits -- there will be some types, most likely a minority, that can be treated successfully with drugs targeted to a specific mutation, but there will be many others with unique or unclear causation for which genomic sequencing is not helpful, nor is it likely ever to be helpful. It's the complexity of complex traits like cancer, not technology that is the limiting factor.